Page 50. Cart. No. 135: ……pieces of land in Landrends in ‘Le Birchdoune’, lying between their land on the Eastern side and the land of John Visor in the West, and Royal Highways to the north and south. No 58. Grant by Jellinus de Landren with the consent of his heirs to the prior and convent of Launceston of a certain hamlet called ‘Polepark’ outside the gate of the Priory between the land of Robert Ysmaug and the land of Jordan Redebyl where there lay at the west side a large stone from the weir of the mill as far as the river of Kensey. To enjoy etc…… Witnessed : William Wise, Roger the Clerk, Robert Rem, Henry Trecarll, [plus others] 1232 – 44. No 59. Grant and quitclaim by Jellinus de Landren to the Church of St. Stephen’s of Launceston and the canons of a certain part of his land under the weir of the mill of the said canons, up to the great stream opposite the meadow of William Pistor which was between the land of the boundary on the east, and the land of Brunstan and Fromund on the west. To hold etc… ….. (Witnessed) William Wyse 1232. No. 114. ….of a piece of land lying in Landrends between the garden of the prior and convent of Launceston on the north side and a croft of the same prior and convent to the south. 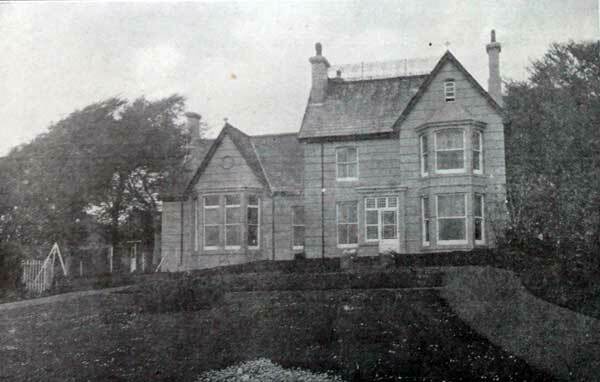 No.186. Plea between Richard Brickvile, prior of Launceston, and Philip de Egloskerry, before Henry Spigernell and his companions, justices itinerant, concerning 2 acres of land in Penheale (Penhil Regis) called LYLYRVDEHAMME* in the 30th. Year of the reign of King Edward. ** The jurors came to recognise whether 2 acres of land in Penheale were in free alms and belonged to the priory or to the lay fee of Philip de Egloskerry. The prior said that a certain Richard, parson of the church of Egloskerry, his predecessor in the time of peace in the reign of the lord King Henry, father of the present King, had alienated the said land….1302. No.274. Grant and quitclaim by Jordan de Ridcarn to the priory in pure and perpetual alms of one small parcel of land which Robert Fot held of Jordan for 2d. 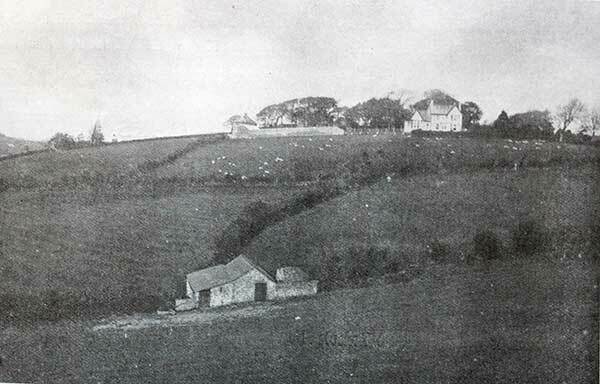 yearly and another small piece of land which Richard Prutell held of Jordan yearly for a halfpenny in the manor of Launceston; i.e., all the land he had above the way which went from the stream called ‘STAPHEINES LACA’ to the gate of the court of the priory and from the way up as far as the well of St. Stephens. 1232 – 44. 1856 – Charles Adams, junior, farmer. 1878 – Charles Adams, farmer. 1938 – C Bromell. W Dennis. H Stacey. 100 acres – Modern Residence: Ground Floor Entrance Glazed Porch, Tiled Hall. Dining Room 23’ x 17’ with lofty pannelled ceiling, large bay window, with parquet floor, handsomely carved oak mantlepiece, and panelled walls. Drawing Room 18’ x 13’3” with bay window, marble mantel and tiled grate. Morning Room 12’9” x 11’3” with fitted cupboards and bookshelves. The Study 13’ x 8’2” with fitted supboards. The Kitchen 12’ x 11’6” fitted with ‘New Ideal’ “Cook and Heat” Range’, supplying Hot Water throughout the house, and to Radiators and Bathroom. Lavatory. Scullery 12’ x 10’8”, Larder fitted with slate benches, Pantry, China Cupboards, and Store Room (The Rooms on this floor are 10’ high). 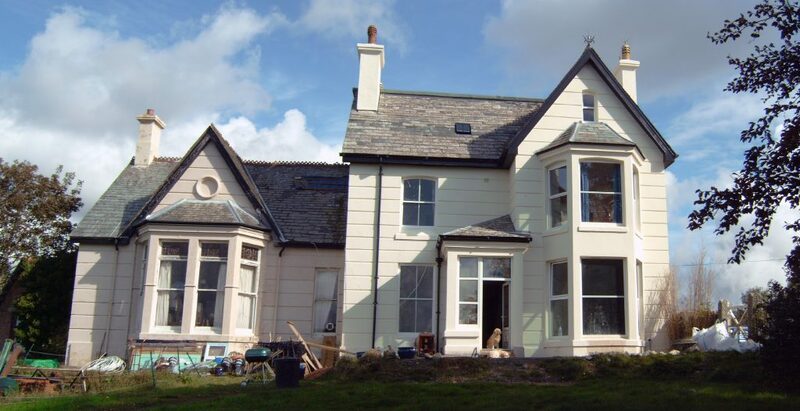 First Floor approached by Pitchpine Staircase: 4 Bedrooms – 1 – 17’6” x 13’3” with large bay window. 2 – 16’ x 12’. 3 – 12’ x 9’3”. 4 – 12’ x 13’. Bathroom, WC and Lavatory, with Hot and Cold supplies. Linen Cupboard and Store Room. Second Floor 3 Good well-lighted Bedrooms and Boxroom. THE HOUSE is lighted throughout by Electricity from the Launceston Electric Company’s supply and in most of the rooms heating switches are also installed. THE WATER SUPPLY is from the Launceston Town mains, and there is a large storage of rain water. POSSESSION of the Residence and about 6 acres of Meadows will be given on completion of the purchase. 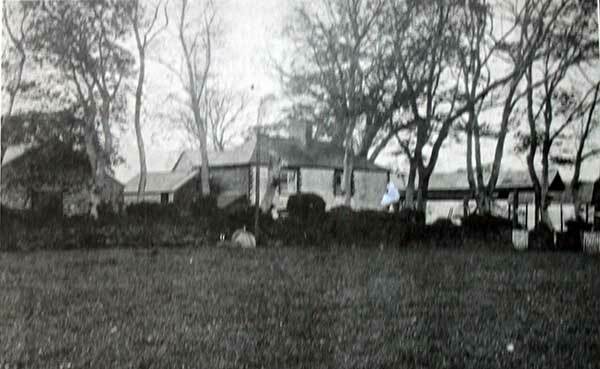 The Grazing on the remainder of the Farm is Let up to Ladyday, 1930. Comprise Carriage Drive, Lawn flanked by ornamental trees and shrubs, herbaceous border and flower beds, Tennis Court and Summer House.